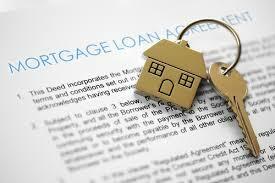 Thoughts on the Mortgage Forgiveness Debt Relief Act? The Mortgage Forgiveness Debt Relief Act of 2007 could be extended. Set to expire on December 31, the Act has played a major role in this 2012′s rise in short sales. Jeff Zweifel from Markve and Zweifel will be on the show this Saturday to discuss this further. But just for your information before tuning in…. The Act helps people by forgiving or reducing mortgage debts over the past five years. According to the IRS, if your debt is canceled or forgiven, that canceled amount can be taxable income. The Act allows taxpayers to exempt mortgage debt that is forgiven by a lender during a loan modification, short sale or foreclosure. Therefore, if extended, the provision would continue to be applied for debts forgiven since 2007. If it is not extended, 2013 borrowers would need to claim debt reduction/mortgage relief as income. This could be thousands of dollars for some people! Tune in tomorrow at 10 am to hear more from Jeff, who specializes in short sales, only on 830 WCCO.